Ministers have amended the legislation behind free bus travel for disabled and older people in England so the scheme can continue ‘for the foreseeable future’. However, council leaders have again complained that cash-strapped local authorities are subsidising the scheme. 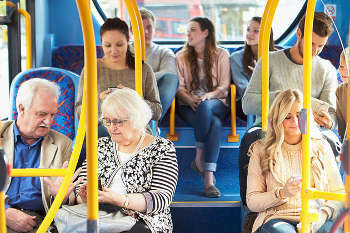 Under the English National Concessionary Travel Scheme, bus passengers aged over 65 or with a disability are entitled to travel free of charge on any off-peak local service the country. The Government has now amended legislation ‘to protect the scheme in its current format’ and so that it no longer needs to be reviewed every five years. Buses minister Nusrat Ghani said: ‘Being able to get out and about is hugely important for older and disabled people to keep their independence and play a role in their local community. Francesca Di Giorgio, inclusion policy manager at RNIB (Royal National Institute of Blind People), said: ‘Buses are a vital lifeline bringing independence to many people with sight loss. The Department for Transport said that in addition to the bus pass scheme the Government provides £250m every year for bus services in England, £40m of which helps to fund routes that may not be commercially viable but which are considered socially necessary. However, Cllr Martin Tett, the Local Government Association’s transport spokesman, said: ‘The free bus pass provides a vital service for our communities and a lifeline for our most vulnerable residents to go shopping, pick up medication, attend doctors appointments or socialise with friends. ‘However the Government needs to acknowledge the funding gap in the scheme and commit to fully fund the concessionary fares scheme. It is becoming impossible for councils to pay £200m a year to subsidise the scheme while having to find billions of pounds worth of savings and protect other vital services like caring for the elderly, filling potholes and collecting bins.